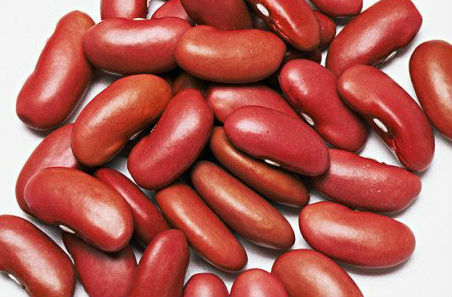 Nutrients such as proteins,carbohydrates,magnesium,iron,phosphorus,vitamin B9, vitamins and fiber are found in kidney beans (Rajma).Kidney beans does not contain proteins,but anti-oxidant elements are also found in abundance.These antioxidant elements strengthen the immune system and give our body the power to fight diseases.That's why you must now include kidney beans in your diet.In addition to maintaining the health of the heart and mind,energy of the body remains intact by consuming red kidney beans. Effective to the brain - Eating Rajma is beneficial to the brain. Vitamin 'K' is found in sufficient quantity. Which works to boost the nervous system. It is also a good source of vitamin 'B', which is very important for brain cells. It works to nourish the mind. Ends the problem of migraine - The amount of folate present in it increases the ability of the brain to work as well as keep it fit. The amount of magnesium provides relief in severe problems like migraine.Once a week, its consumption is very beneficial. Calorie Recovery - The amount of calories present in Rajma is right for every age group.If you want it can take it as curry besides salad and soup.For those who want to control their weight,it will be beneficial to take Rajma salad and soup in the lunch. Strong immune system - Rajma does not contain only fiber and protein but also contains a great amount of antioxidants.These antioxidants increase the immune system and keep it free from radicals. It is believed that anti-aging elements are also found in antioxidants. Good for bones and joints - To consolidate the bones calcium and manganese are very much needed,which can be fulfilled by kidney beans.Its intake strengthens the bones and relieves joint pain. Do not take it in dinner,it is heavy so avoid in dinner for avoid problems like gas,acidity etc.If possible consume boiled kidney beans,it will be more beneficial for health.